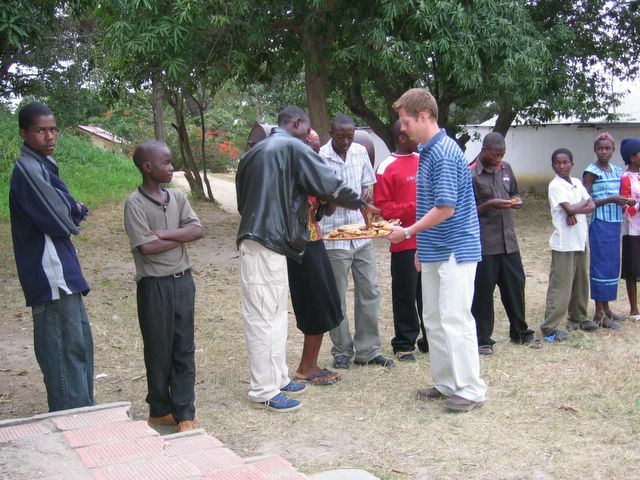 You may recall Ted's asking for prayer through this blog for a large youth event to be held in Mansa, Zambia in late August. On September 3, Ted emailed me a report of this time. For some reason I never got the email--until now--so I apologize for the delay. Here is the report. Thank you to all of you who prayed for the youth promotion event at the provincial conference last week. The conference had a reported attendance of 14,000, which is probably an exaggeration, but it was still huge. People sleep in grass shelters, and they just love the ministry and the social aspect. And the youth event itself included maybe a thousand youth. In one of the six discussion groups, they wrote down the names of all the churches represented in the group where they now wanted to start a youth group--30 churches in that group alone! I hope to write letters to those churches to follow up on that. out here. Actually, the youth are very fond of these two elders who are especially committed to youth work. They both spoke in the morning, and I was the speaker in the afternoon. (I'm going to miss preaching or even speaking in Bemba for the next few years.) I also said a fond farewell to everyone at the end, as I plan to leave Zambia next week. Thank you again for your interest.